Mystic Bowie was awarded two Certificates of Special Recognition from The Overseas Maroon Council and the Accompong Primary and Junior High School in Jamaica for his support of the indigenous Maroon community. 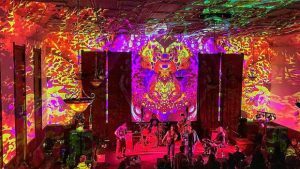 Music of the Talking Heads will be performed reggae style when The Center for the Arts OnTheGo series presents Mystic Bowie’s Talking Dreads on Friday, Aug. 17, at the Grass Valley Elks Lodge. The Talking Dreads is the brainchild of Jamaican born Mystic Bowie, best known as a vocalist of the Tom Tom Club, the hit side project of Talking Heads co-founders Chris Franz and Tina Weymouth. The Talking Dreads deliver iconic hits driven by joyous rhythms and jubilant island vibes. The Talking Heads hits — “Pyscho Killer,” “Burning Down the House,” “This Must Be The Place” and many more — re-imagined reggae/Caribbean style. 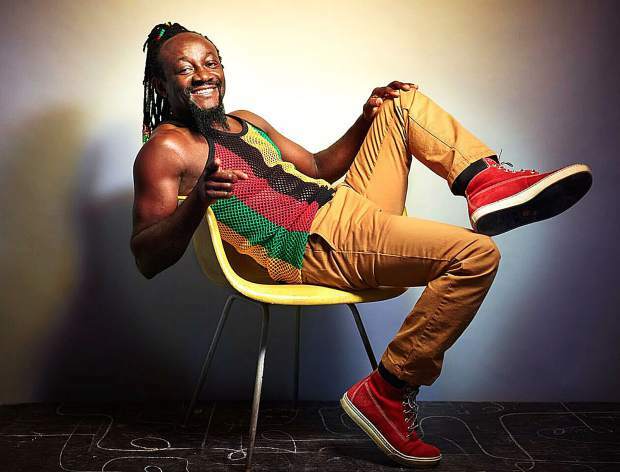 Since debuting his Talking Dreads project live at the High Times Music Festival on the beach in Negril in late 2015, the charismatic Jamaican-born singer and performer has electrified audiences at shows across North America. “Talking Dreads is much more than a cover band,” Bowie said. “I am very much drawing on my own musical culture and history to make these amazing songs my own, while at the same time preserving the integrity of the Talking Heads songs. Bowie has been awarded two Certificates of Special Recognition from The Overseas Maroon Council and the Accompong Primary and Junior High School in Jamaica for his efforts supporting the indigenous Maroon community.